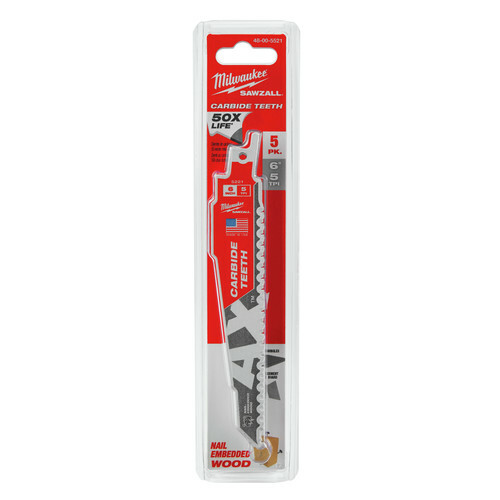 *Add two Milwaukee 48-00-5521 Saw Blades to your cart and the free item will automatically be added. Limit 2 free items per customer. Offer valid until 11:59pm ET on April 30, 2019 or while supplies last. No adjustments to previous purchases. Subject to change without notice. I purchased these blades for use in a Milwaukee 12v HACKZALL. We’re in the process of building a home and these blades are a fundamental component of construction. They saw through nail embedded lumber “like butter”. Additionally, the blades are stout and do not bend easily.